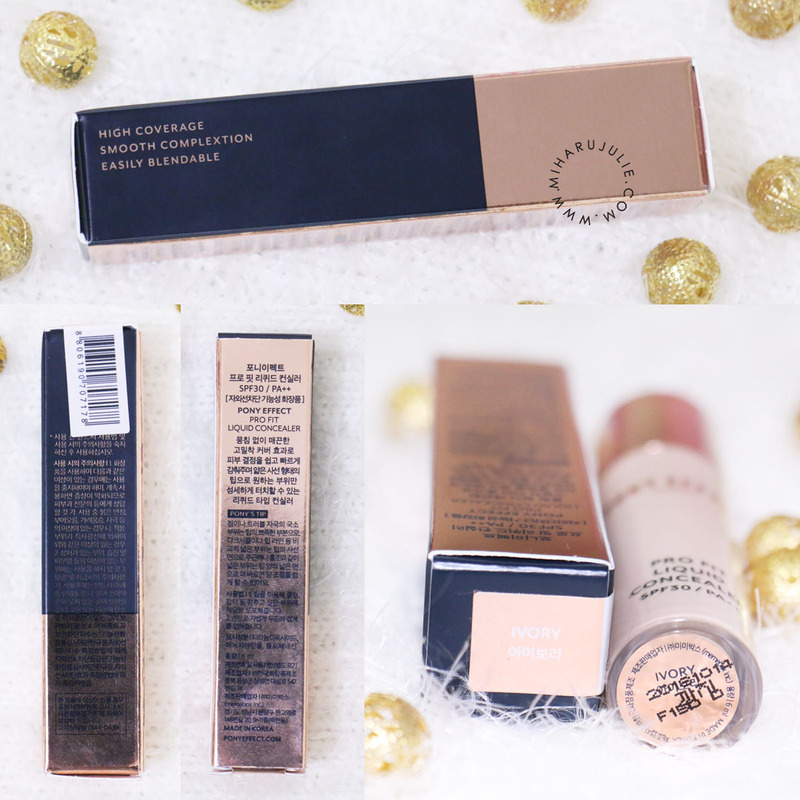 Firstly, lets talk packaging, because we all know I love me some packaging! The glass bottle comes with a doe foot applicator (similar to a lip gloss) which I personally love. The applicator is on a diagonal-shaped wand which I think makes it easier to apply. It's long enough that you can use it to spread the product, but it's thin enough that the tip can be used to just pin point cover blemishes. Apply directly onto any blemishes, dark circles or other skin imperfections prior to makeup application. You can apply lotion or a moisturizer before hand Blend out with pad of ring finger or brush. 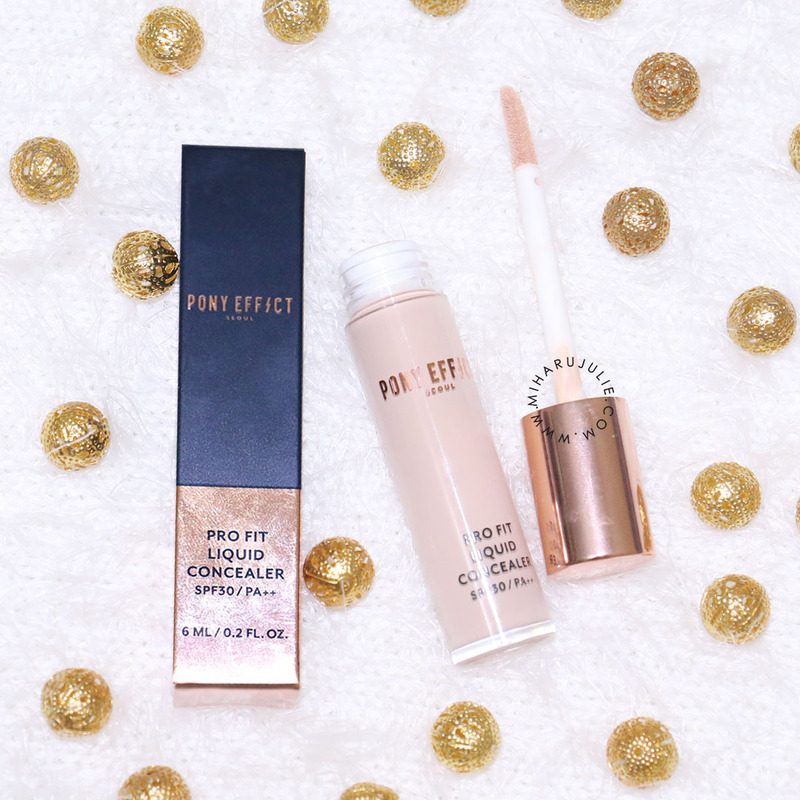 Continue with regular makeup regime. 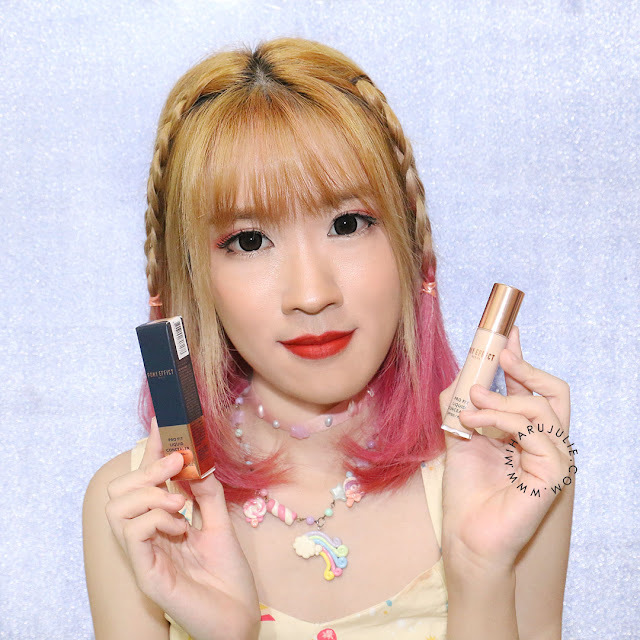 The color is just perfect for me, especially when blended in, I don't see any difference to my skin tone. 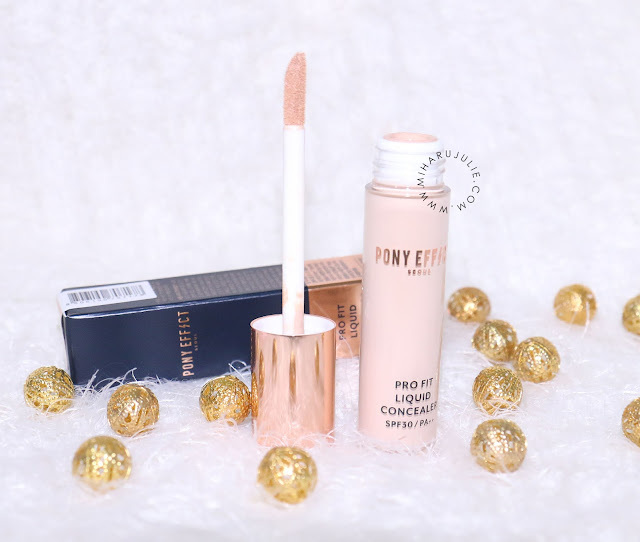 The texture is a bit more creamy because of the concealer aspect but it wasn't thick. 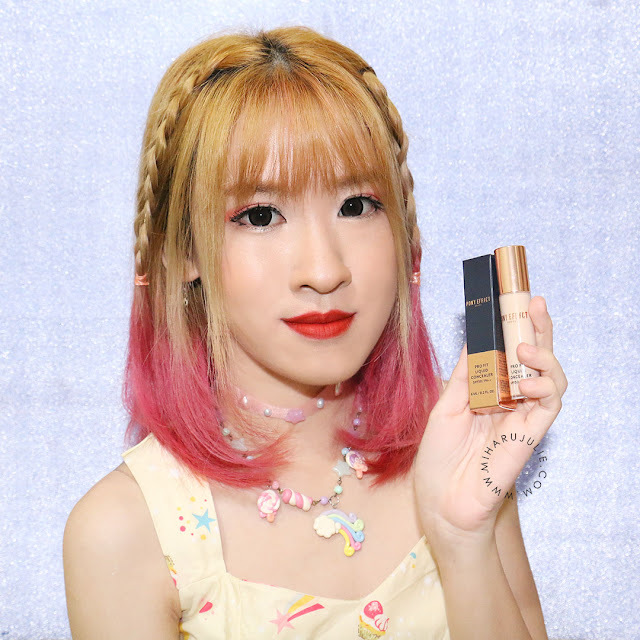 It also felt light on my skin, For me this concealer works really well for concealing spots, however, it is not really suitable for things like cover dark circles in my opinion. 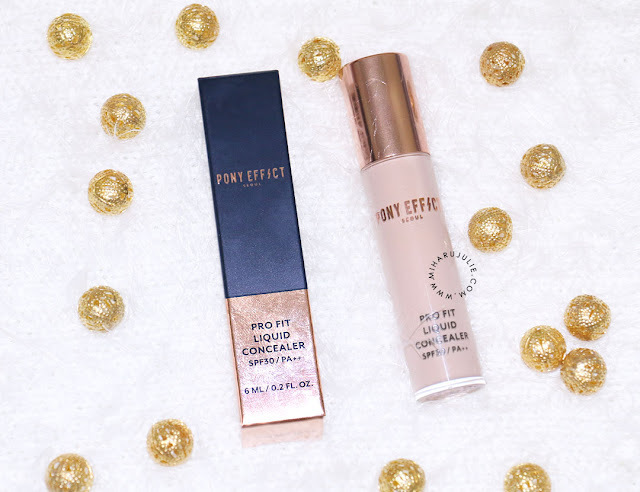 The coverage power of the Pony Effect concealer is not as strong, so you need more of it and while that works okay for small spots, adding lots of it under my eyes makes the product collect in the fine creases under my eyes, making them appear way more prominent. This is a good product for cover small spots, but not very suitable for covering bigger areas. 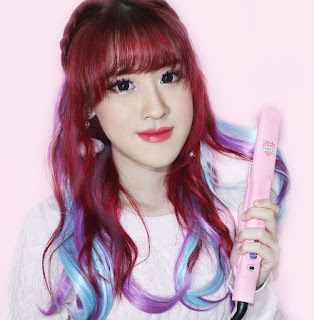 Bagusnya conclearnyaaaa 😍😍😍 cocok banget buat yang suka bermakeup..